Why Good Website Is Imperative For Limo Business Success? No matter how good the quality of your business, if your website looks outdated, has broken links and unappealing content, your customers will not trust you and would stray away from businesses with obsolete websites. With the latest gadgets like Google Mobile Friendly Test and WordPress ready-made templates, having a modern, SEO friendly website is easier than ever. Even your custom made websites can be easily adjusted to suit all the necessary standards if you construct them the right way from the start and use WordPress as your managing and updating tool. So what can you do to make your website represent the quality of your business the right way? 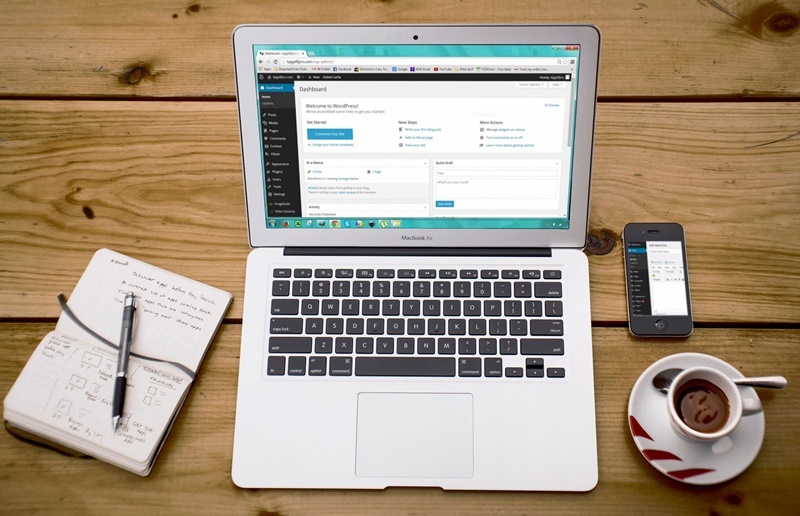 WordPress platform is one of the most popular content management platforms out there. Simply because it is easy to use even for the biggest noobs when it comes to IT and programming. Without too much trouble you will be able to post, update and delete content however you like. They are responsive and adapt well to different screens and browsers. Their design is mostly modern looking and well crafted. Search engines simply love their organized structure and you increase your chances for a better ranking just by having a CMS platform website. In case nobody told you yet, one-page websites are a death penalty for any website. Search engine crawlers don’t favor them, they have a hard time collecting content from them and the best thing to do is to stay away from. Their popularity is just a fad that will, like all fads, leave heavy consequences on your budget and your overall rankings. This goes without saying, but giving your customer an opportunity to book your service in a matter of minutes once they decide on your offer is the best thing you can do for your business. Today there are tens or hundreds ready-made forms that you can use on your websites like JotForm, MasterCard and most popular Limo Anywhere. With easy and affordable options like these, making your own limo form that can easily crash and leave you without reservations for days is a money wasted. Oh yeah, and make sure your booking and payment form is working at all times because every broken booking attempt drives the customer further away from you. You may think that in the limo industry content is not so important, but it is one of the main things that will attract your customers as well as Google. The more effort you take to better explain your services – the bigger are the chances of you attracting the right customer who is searching for the very thing that you offer. When it comes to limo services, for example, customers are always unsure of how far the limo company is going and what they can expect during the ride. If you explain all of this in a content, you increase your chances for reservations and new customers. When you think logically, of course, you have to make your website mobile friendly, but this is the very thing that most websites simply don’t pay enough attention to. They are emotionally attached to their old websites and have a hard time changing it while Google recognizes that almost 100% of all search is coming from a mobile and he wants to give his users best search results. At the same time, your potential customers visit your old website and scroll left and right trying to comprehend what’s on the screen. Right afterward, they return to their Google search and choose your competitor with a better online presentation. A website is the beginning and end of every good business. It is your best opportunity to present your company the way you want, in the best possible light and to give your users seamless experience and attract them into using your services. Don’t leave money on the table by refusing to invest in such an important part of your business.